AutoCAD 360 is a new Autodesk editing and drafting tool which enables CAD users on the move to create, view, edit and share CAD drawings anywhere, any time. Designed for CAD users working out on site, it negates the need to carry heavy and cumbersome blueprints, and enables a much more user friendly and comprehensive experience, particularly on smaller mobile devices such as tablets or smartphones. Not only can you access and modify drawings with AutoCAD 360, but they’re also a great way to present to clients; it projects a really fresh modern image for you as a business at the forefront of technology, as opposed to a company still relying heavily on old school paper based formats. AutoCAD 360 provides a cloud repository for all the tools, but you can also use Autodesk A360, or other external cloud services such as Dropbox or Google Drive. You also have the capability to work completely offline by downloading files to the device you’re using, and then working without internet capability. This can be useful for areas where signal is a problem but you still need to be able to make amends on the move. 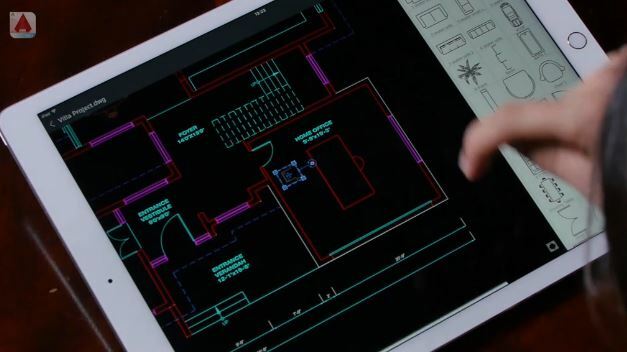 You can use AutoCAD 360 on laptops, tablets and smartphones, including Apple, Android and Windows devices, but there is also a customised iPad Pro version. This version gives you a couple of additional features. The point of AutoCAD 360 is that Autodesk are recognising the importance of technology as part of the ongoing process, and not just something to use at the beginning and end of a project. Having a tool that can be used anywhere means that there’s no need to transfer changes from paper to AutoCAD. In addition, all parties involved can see an up to date version at any time. You can get AutoCAD 360 from all the usual app stores. For more information on AutoCAD software and training, check out the new Cadassist website or email us. To keep up to date with Autodesk and Cadassist news, don’t forget to follow us on LinkedIn and Twitter.